SPOKANE -- Three environmental groups are suing a state agency over the impacts of the Northwest's only commercial nuclear power plant on the water quality of the Columbia River. Northwest Environmental Defense Center, Northwest Environmental Advocates, and Columbia Riverkeeper will file the lawsuit Thursday in Thurston County Superior Court against the Washington Energy Facility Site Evaluation Council. 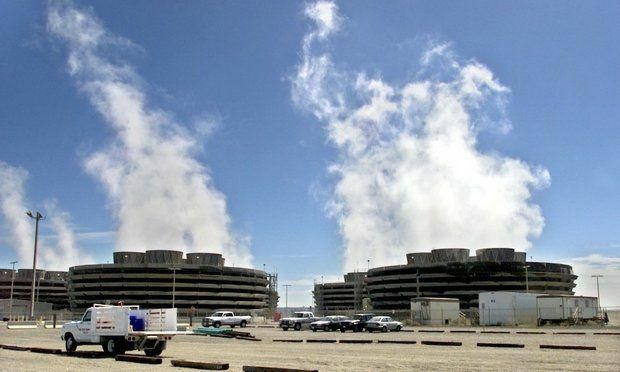 The council in 2006 issued the water pollution permit for Energy Northwest's Columbia Generating Station, which is located on the Hanford Nuclear Reservation. The station uses 20 million gallons of water from the river every day to cool the nuclear reactor. The lawsuit contends that the permit violates the Clean Water Act by allowing water pollution at levels that violate state standards designed to protect public health, fish, and other aquatic species. "Experts from the National Marine Fisheries Service sounded the alarm about how this facility may be killing and harming endangered salmon," said Mala Nelson, attorney for the Northwest Environmental Defense Center. "EFSEC's blatant disregard for this input demands judicial oversight." A message left at the facility council's office on Thursday morning was not immediately returned. The lawsuit will ask the court to invalidate the permit, which allows the nuclear plant to operate a cooling water intake structure. The council issued the permit over strong objections from the National Marine Fisheries Service. In a series of letters, Fisheries urged state and federal regulators to require modern water intake structures to protect threatened salmon from death or injury. But the facility council refused. Energy Northwest has not been required to study the impacts of the intake structures or to modernize the structures since they were designed in the late 1970s, the environmental groups contend. "State and federal agencies give a lot of lip service to protecting Columbia River water quality and species but when it comes to actually restricting the polluters, these same agencies are nowhere to be found," Bell said. The portion of the Columbia River that flows past the reactor contains some of the most productive salmon spawning areas in the Northwest, including the largest remaining stock of wild fall Chinook salmon in the Columbia River, the environmental groups said. "People regularly eat salmon and other fish caught just offshore and downstream of Energy Northwest's facility," said Dan Serres of Columbia Riverkeeper.